Seattle Opera’s General Director Aidan Lang is about to make his Seattle Opera debut as an artist! Lang, who worked as a freelance stage director for many years before becoming an administrator, brings his own New Zealand Opera production of one of his favorite works to Seattle in January. Listen to or read this downloadable podcast to find what Lang thinks about this extraordinary masterpiece and its beloved characters. 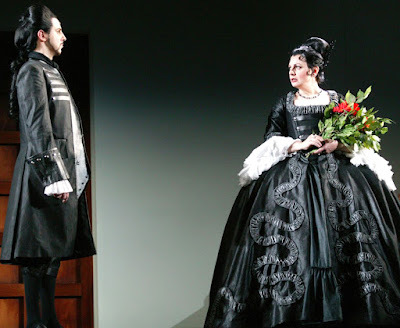 For a refresher/overview of The Marriage of Figaro, look at our Seattle Opera Spotlight. Hello, everyone! So I’m going to be quite busy for about three or four weeks over Christmas, directing The Marriage of Figaro and continuing as General Director of Seattle Opera. But this isn’t the first time I’ve done that; I did it with The Marriage of Figaro in New Zealand when we first did this production in 2010. It’s not something I’m going to replicate in the future. We in the administration get a bit detached from what we’re creating, and so it’s quite salutory, being General Director, to be on the rehearsal floor once again, just to as it were recharge my batteries and to remind us that the art we create is our raison d’être. 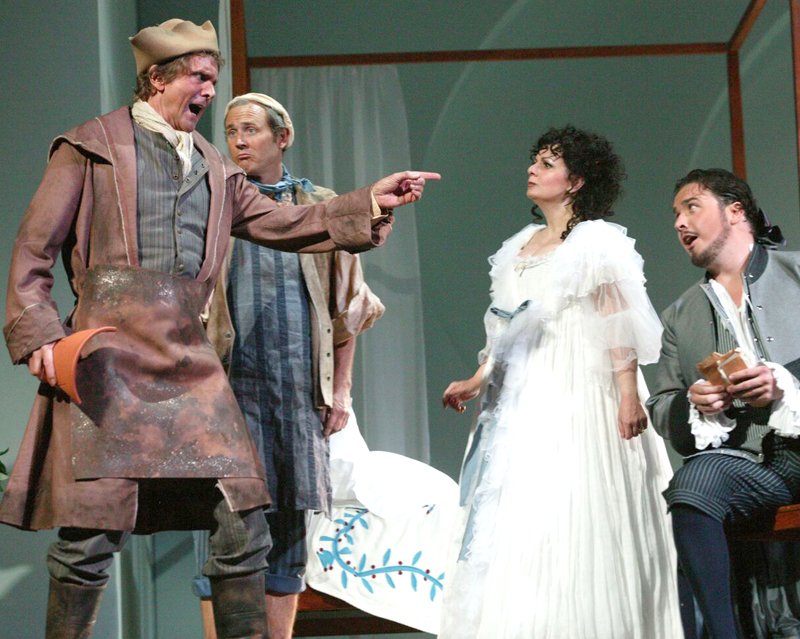 How did they like this production of The Marriage of Figaro at its premiere? I’m glad to say this production went down exceedingly well in New Zealand. I think what people responded to its freshness. What struck a lot of people was how clearly they could follow the narrative. And that pleased me, because that was actually what we set out to do. This is an opera about plotting, and it has the world’s most complex plot. It’s a plot with three distinct strands which all interweave: that of Figaro and his marriage; the threat of Marcellina; and also the Cherubino plotline as well. We had to come up with a scenic and dramatic scheme that would enable those levels of plot to be introduced very clearly. It was important the audience have an entry point at each level of the story-telling. I said to my team, “Why does Marcellina, who has brought Dr. Bartolo into the castle—her ace, as it were, to help fulfill her plotline—why has she brought her secret-weapon into the one space where she’s quite likely to find Figaro?” It makes no logical sense at all. When Barbarina is searching for the pin, if she’s instructed to take a pin to Susanna, who’s a housemaid, why would she go outside with the pin? She’d go straight to Susanna. So we evolved a scenic scheme which allows us to move around the castle. We gave the piece a visual rhythm as well as a musical rhythm. And by changing perspective, changing space continually, we were able to tap into more modern ways to receive storyline than what is fundamentally a convention of eighteenth-century theater. What’s The Marriage of Figaro about? It’s an opera about forgiveness; it’s an opera about the longing for the union which marriage brings; it’s an opera where the plotting element, which is so crucial to it, is sort of human behavior at its most devious. All this very complex, multi-layered plot takes place from sunrise to sundown. The palace itself becomes a miniature version of an entire society. It’s a fascinating snapshot, of the interaction of power and those on whom power is wielded; of people’s desires, people’s longings, people’s aspirations, and above all what is good and responsible behavior. Figaro we know from The Barber of Seville. The thing about Figaro is that although he’s the arch-schemer—he thinks on his feet, he reacts to a situation and comes up with a quick fix—but he tends to be the last person to know what the latest twist is. So he goes charging off on his own to alter events to suit his purpose, yet when he comes back he finds that behind his back, things have moved in a completely different direction, so he has to think again. This is rather wonderful. We see it therefore in the very moving aria in Act 4, where he’s convinced that Susanna has deceived him on the day of his wedding. We sit there in the audience thinking, “You fool! Open your eyes!” because he’s blind to what’s around him. But we love him, because he stands for what is right. And he’s not afraid to stand up to the Count, and questions the Count’s behavior on more than one occasion. Susanna, his bride-to-be, we meet for the first time; she’s not in The Barber of Seville. And Susanna knows that she has a problem. I think one of the things we’re trying to get in this production by changing the location is I want to have the suggestion that Susanna will spend her entire day moving from room to room around the castle. Whenever she hears the Count’s voice, she’s going to make sure she doesn’t meet him. The trouble is that when she hears his voice, she’s in a potentially compromising situation with Cherubino; it’s too late, and he traps her. But she’s witty, she’s clever, she’s aware of the danger of what she does in terms of the plotting, but it’s all designed to achieve the best possible end, and that is her marriage to Figaro. One difference between the two of them, which we wanted to suggest in the very first scene, is that Figaro is very concerned about where the bed is going to be. And I think that emphasizes a kind of masculine view of what this wedding night is about. 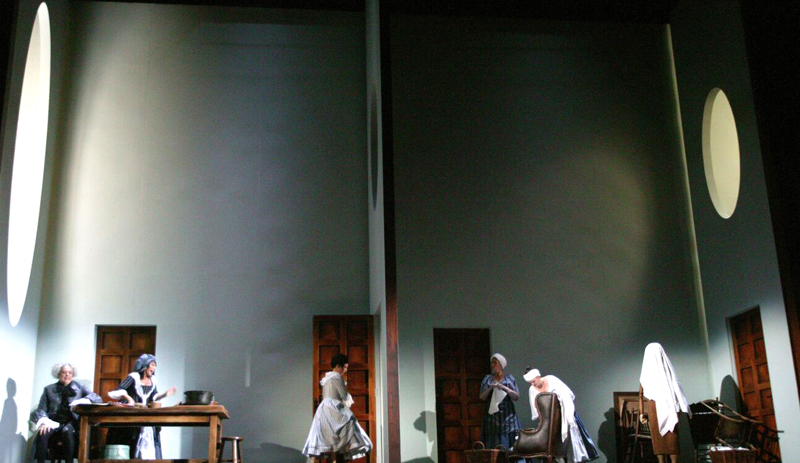 The bed is important to Figaro; to Susanna, the hat, the wedding-veil, is important because it’s a symbol of union. In a sense, Figaro’s very male desires are not that far removed from the Count’s. This opera is about him learning a lesson: that the best marriage is a union of both of them. He needs to listen, he needs to work with Susanna, and not charge on ahead in a very masculine “I-will-take-control-of-this-situation” way. Susanna’s interest is not so much on the marriage-night so much as the union itself. Marriage is a lifetime commitment for two people. I think Figaro’s behavior in a way is almost symptomatic of a freelancer, of a contract worker, in the city. He seems to have left a freelance existence as a barber in Seville, he’s come back into service. And now he’s found his wife, he realizes that the perfect union is that of a pair. He needs to allow Susanna’s thoughts into his way of living, and they will be better for this day they’ve just spent. Figaro’s lesson to learn is that actually together, as a team, you will be stronger. 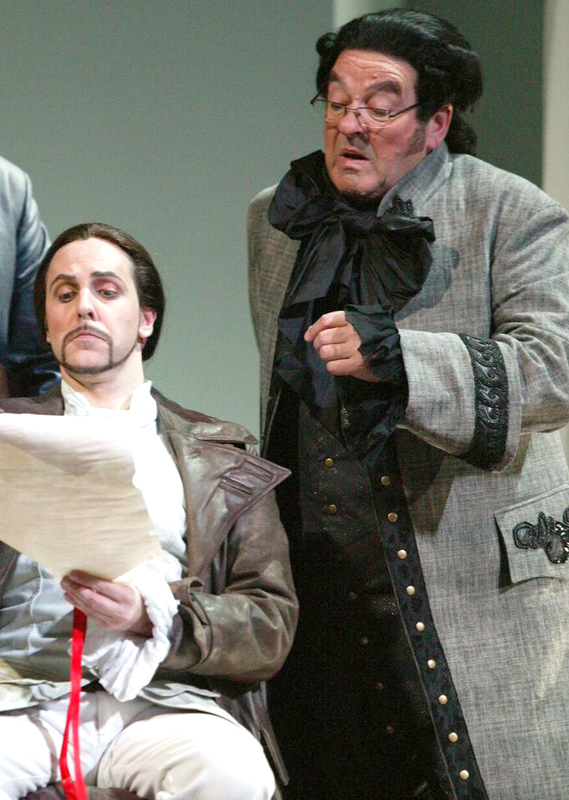 It’s important to remember that Rosina of Barber of Seville was middle class. And she is now, by marriage, in the aristocracy. One of the ironies of the piece is that she is by far more the complete aristocrat, in terms of manners, sympathy, understanding of the people who work for her, than the Count, who’s born with a sense of entitlement and actually misuses that. We see evidence of that in his character in The Barber of Seville, where he’s intolerant of anyone who gets in his way, especially the middle classes; he rather disdains them. And that intolerance of other people is very evident in this piece. Interestingly, of the Count, Beaumarchais says that despite his poor morals, he has to deport himself with style and elegance of manners. We the audience see very clearly the difference between the display of politeness—think of Act 2, when he’s alone with his wife, or thinks he’s alone; then we see a very different Count from the person who is in public, we see when the chorus come in. He’s a complex character. His plotting relies on other people; he’s not really bright enough to plot for himself. So he’s relying very heavily on either his own charm, to win Susanna over, and failing that he’s relying on the legalness, the legal niceties of Marcellina’s claim against Figaro. 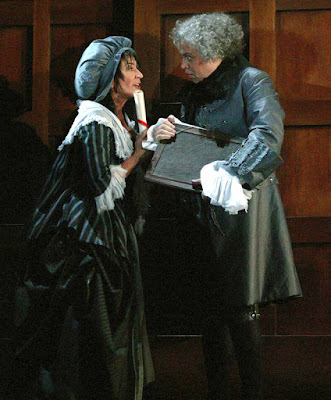 For me one of the most fascinating characters is Countess Almaviva. In The Barber of Seville, which is maybe two years earlier, she’s been lifted from a middle-class status to aristocracy, and very quickly she has understood the importance of dignity, wisdom, even if that means her own personal feelings are compromised. And her husband, the born aristocrat, is irresponsible and misuses power. There’s a tendency to play the Countess as a rather mature figure, and that’s not the case at all. This opera takes place a couple of years after The Barber of Seville; we imagine Rosina in Barber being maybe 17, 18, so the Countess is maybe 20 or so. Figaro and Susanna should be a little bit older. The Count and the Countess are two young characters; there’s a more worldly wisdom to Figaro and Susanna. Necessity draws the Countess to be more and more resourceful as she plays a very risky game in Act 3, in order to go disguised as Susanna to an assignation with her own husband, and makes a huge sacrifice by publically shaming her husband—but doing it with grace and forgiveness. You see in fact that moments before the revelation scene, that the Count is all set on punishment. And we learn a huge irony, and this of course is what Beaumarchais is really indicating: that behavior and manners is innate, rather than a right of a social class. In this instance it’s actually the middle-class Rosina, who has become Countess Almaviva, who is imbued with natural grace and feeling. And once again it’s the man who has learned the lesson, that it’s actually the Count, who should be leading, whose class dictates that he leads with generosity and benevolence, who is in fact to a certain extent corrupted and dark at his core. There are certain elements of Don Giovanni in the Count, although without the blackness at the heart of that character. Her forgiveness is an all-important moment. Whether the Count will carry on philandering in a week’s time...probably he will, but I think that’s not necessarily the point. I think the moment of his understanding is the crucial one, when he’s unmasked. In his plea for forgiveness, the music Mozart gives us is more than superficial. It isn’t just the situation playing. He realizes what he has done. He’s shamed, of course; but he could lose his temper. Throughout the rest of the opera he would have lost his temper and bluffed his way out of the situation. But here, something very different emerges. Mozart’s point is that dignity and beauty of thought can win the day and can change people. That for me is the meaning of the opera—that one moment. Just taking that further, that seems to me at the essence of the difference between opera and straight theater. This is an opera moment, where a deep and extra level is brought into that moment, implied by the music. Whereas if we think in a strictly naturalistic fashion, as in film, we apply criteria about what’s going to happen after the end of the reel. But the musical and dramatic moment which Mozart and Da Ponte give us presents a moment of insight and understanding which is the kernel of the scene and by implication of the opera. Considerations of what’s going to happen afterwards don’t really count, in this context. We actually in this production have a moment where we think, in Act 2, that the Count and Countess are back together again, just before Figaro bursts in, in the Act 2 finale. We wanted to have the sense that that the Countess is still a young girl, and actually, although they’re now sleeping in separate rooms, there’s a large bed in her bedroom, and that’s there for a purpose. For a very brief moment he’s about to get into bed with her, and we think, “Oh, my, all is well!” You know, Susanna is politely leaving the room...and then in bursts Figaro, and it all goes to custard again. But we wanted the sense that both characters have a libido; that the Countess, even though she seems to be no longer in the Count’s interest, is a woman in her prime. And there is yet no child. This is probably concerning for her. She would have expected to have produced offspring by now, and furthermore the Count is showing no interest in coming to her room. We mustn’t underestimate the importance of producing an heir. 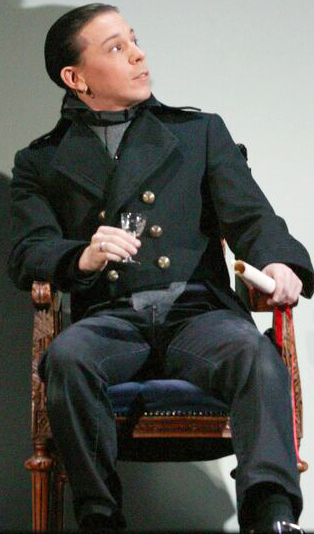 The character who acts as a fulcrum is Cherubino. A page boy is a bit like an intern these days; he would be sent by another family to learn the correct aristocratic deportment and manners. So it’s hardly surprising that, if the Count is Cherubino’s role model, Cherubino has become a little Count himself. He represents the way an aristocracy can slip into decline. In other words, we can see how the values of propriety, justice, and morality can slip if the head lets it slip as well. The play is written at a time of social upheaval, where the ruling aristocracy was deemed by the classes below them as being corrupt and being in decline. I think the structural positioning of Cherubino is precisely to illustrate how that could happen. He’s the living embodiment of the next generation of the Count, and he will go back, and then inherit his family’s castle, and he will behave like the Count does, because that’s what he’s been taught. Interestingly, in Beaumarchais’ notes at the end of the play, he indicates that Barbarina is twelve years old. Now, you have to add on two or three years, because puberty arrived much sooner in the eighteenth century than it does today. But we’d still say she’s about fourteen by today’s body-clock. Cherubino is kind of fourteen or fifteen, but add on another couple of years in terms of our understanding, so he’s like a seventeen-year-old to us. He’s passed through puberty; he represents a real danger to the Count, and it’s why the Count doesn’t like him. He’s clearly charming. We play the scene in Act 2, when he’s left alone for a brief moment with the Countess, that for a moment she is very flattered by him. And we compound this by the decision to play Barbarina as being pregnant. I want the audience to not quite know whether it was the Count or Cherubino...I don’t know what the answer is, but one of them did it! That’s the sense. And again that decision was not just an idle one, because we wanted also to suggest that producing children is an important part of this society. We first see Barbarina shortly before we see the Trial Scene, where Figaro is revealed as the offspring of Marcellina and Bartolo. So we wanted to get into the audience’s imagination this nature of a society where those in charge seemingly can casually impregnate those beneath them—in the other case it’s Bartolo and his housekeeper, Marcellina—without any real concern for the consequences. So Bartolo has clearly ordered Marcellina to abandon their baby in order that his social position is in no way compromised. That was the reason why we decided to make Barbarina pregnant: we wanted to give the palace a tone where this was fairly normal. Barbarina is the daughter of Antonio, so they don’t live in the castle, they live in a tenant farm, very close because he’s the gardener. And she undoubtedly milks the cows and feeds the chickens and things, and I think she would have grown up with cows producing calves every year, so I think the idea of getting pregnant is no great deal to her. She sees it as a natural cycle of life, because she deals with that every day. I guess we wanted to suggest that it is part of life, and that the marriage construct is what elevates us, as humans, beyond the mere animal cycle. A true marriage construct needs to be based on love, not just a contract, and that of course brings us to Bartolo and Marcellina. Marcellina is claiming a contractual right to have Figaro as a husband. This is something which will never work! And of course Figaro never intended it, never in a million years dreamed that she would hold him to it. Why is she doing it? Because she knows she’s at a stage in life where that marital bliss has passed her by. She’s on the shelf. We always think of her as being older, and she needn’t be that old. She’s not a youngster, but she’s often played as a sort of harridan. I always think she should be measurably younger than Bartolo, so that, just as the Count visits Barbarina, so Bartolo has taken advantage of his relatively young housekeeper. Bartolo has been brought to the castle by Marcellina as her ‘respectable testimony.’ He’s not a lawyer, and his aria is complete guff, really. He’s blundering on about what he’s going to do, talking utter rubbish! In Marcellina’s eyes his respectablility as a senior person and as a professional, down the road in Seville, is enough to act as a credible witness to the truth of the document she holds. So he’s not from there, he doesn’t live in the castle. She’s presumably been brought there by Rosina. Like Figaro, she’s moved from town to the castle. What is a woman’s option in life, without marriage? It’s a life of loneliness, of no real human contact other than through work. So I think over the time of multiple visits from Figaro to shave Bartolo, she’s got a crush on him. And he probably flirted with her. This contract was probably, “I need a few pesetas, could you lend me them...yeah, and I’ll tell you what, I’ll marry you!” He probably did it as a joke, actually. And I’m sure that when he was working for Bartolo there was a very good-natured banter, and he never in a million years considered that she would take this seriously. And why’s she doing it suddenly? Because life is running away from her. No one has shown any interest. I think it’s born of desperation, born of a real desire for the human comfort of marriage. It’s about marriage, it’s about the union of people. Of this new couple coming together who finally have earned their marriage at the end of the piece. About a couple who have been married for two years, and who’ve become estranged, and who also learn about themselves. And the third couple being Bartolo and Marcellina. And again I like to sense at the end that they are glowing. They’re: “Why didn’t we do this before? Why didn’t we own up to the error we made in producing a child out of wedlock, and actually be brave, and accept it, and rejoice?” When Marcellina realizes that Figaro is her son, for me it’s one of the most tender and moving moments of all opera. I’m always distressed that it inevitably gets a laugh. You can’t fight that; it will. But we certainly don’t play that scene for laughs. We play it very seriously. All the guilt that she has felt for having abandoned her child, being forced to abandon her child; and the bitterness she has felt, which drives her need to have a husband; that in one moment evaporates, and a huge outpouring of maternal feeling comes in that moment when she finds her long-lost son. He’s an interesting character because he has a foot in every camp. He’s there because he teaches Rosina singing, as he did before; she has a daily or weekly singing lesson. I think in time what’s happened is that the Count has learned to see how useful he can be as spy and informant as to what’s going on. The Count finds that useful; in order to maintain his power base he has his trusted ally. The fact that Basilio changes his spots probably the Count hasn’t quite noticed. The Count is a pragmatist, and he realizes that if he’s got a corrupt regime, he’s got to surround himself with people who will underpin that, rather than make moral judgments. Basilio is wise and experienced enough to see human frailty and, on the one hand accept it, but on the other hand use it as a tool. He’s not stupid. And I see him played over and over again as an obviously horrible person. There are occasions when Basilio doubles with the character of Don Curzio. I don’t like that, because I think they are two very different people, and it’s important the audience understand that. The trouble is, Don Curzio is almost invariably played as a buffoon; Beaumarchais had a personal vendetta against a particular lawyer who was lampooned in the play, and so this awful tradition of him having a stammer has prevailed until now. Well, I don’t think that’s right at all. We play him very differently, in a very serious way. We’ve costumed him with a slight anachronism, a nod to the Terror which followed the French Revolution. The Count has gone to town, got a lawyer in known for his severity and meticulousness, because the legality of this contract is what will get the Count his endgame, which is Susanna. The Count has a very clear mission in mind, and what he’s done, he’s brought the top lawyer in, a man who he knows is almost obsessed with the law. The irony is that this law will turn against him and his class in ten year’s time. So we wanted to suggest that Curzio and his type are playing a kind of waiting game; when the time is ripe, the guillotine will start falling, and it will be Curzio at the judges’ desk sending aristocrats to their early grave. But at the moment, that time is not yet here. His strategy is to build up a reputation for unimpeachable propriety. So we play Curzio really to the letter of the law. We play him very straight, with no attempt at him being a comic character. If anything, he’s a rather dangerous character, who’s feared by all concerned. When the evidence turns against the Count, and we discover that Figaro is in fact Marcellina’s son, I think Curzio is frankly annoyed at being called in from town to preside over a case where the evidence clearly hadn’t been properly sifted through. I think his anger is almost directed against the Count; he can’t really show that overtly, but that’s what he feels: his time has been wasted. Antonio occupies an interesting position; he’s the gardener. He says his mind. When he says, “People chuck things out of that window each day,” what do they chuck? They chuck the contents of their chamber-pot. So you imagine this man who spends his entire life weeding a flower bed beneath the bedrooms, and periodically, uh, stuff comes out! And the ultimate straw is that this time, not only has the usual stuff come out, this time someone’s jumped out and landed on his prize flowers. So his annoyance isn’t at losing a plant and a pot; he comes bursting in, in the most inappropriate way, into the Countess’s bedroom, because enough is enough! I get the sense he’s a man on the edge. We see he does not like Cherubino. He can’t complain about the Count come sniffing around his house, to see Barbarina; but he does not like Cherubino. Cherubino is a very useful scapegoat for all his pent-up feelings about the cards that life has dealt him. Why do we cut two of the arias? The Marriage of Figaro is a long opera, and undoubtedly audiences in Mozart’s time had more time on their hands than maybe we do today. So we did make the decision to cut the arias of Marcellina and Basilio. Each have their purpose! Marcellina’s aria is in fact a sort of setting of an important speech which she has in Beaumarchais’s play, where she sort of establishes the injustices carried out on womenkind. She’s just been married, and she seems to have gained a newfound gravitas. Her tiny role in the garden scene is to act as a sort of backstop and a guide to the rather nervous Susanna and the Countess; to say, “No, girls, we need to do this, in order to get our men.” She has a sort of maturity through being married, through having found her son and now a husband. It’s a loss to lose that aria, but something had to give. Basilio, I always feel it’s a little bit late to justify his actions. One line of recitative captures the essence of it, and that is, if you try to defeat the aristocracy, you will lose. That’s the key point, the recitative has it, and so we felt we don’t need the aria. Photos of the 2010 New Zealand Opera production by Neil Mackenzie. Podcast musical examples taken from Seattle Opera’s 2009 production conducted by Dean Williamson, starring Oren Gradus (Figaro), Christine Brandes (Susanna), Marius Kwiecien (Count Almaviva), Twyla Robinson (Countess Almaviva), Daniela Sindram (Cherubino), Leena Chopra (Barbarina), Arthur Woodley (Dr. Bartolo), Joyce Castle (Marcellina), Ted Schmitz (Don Basilio), and Barry Johnson (Antonio). A beautiful, very intelligent analysis that brings out much more depth in the opera than I'd realized was there before.